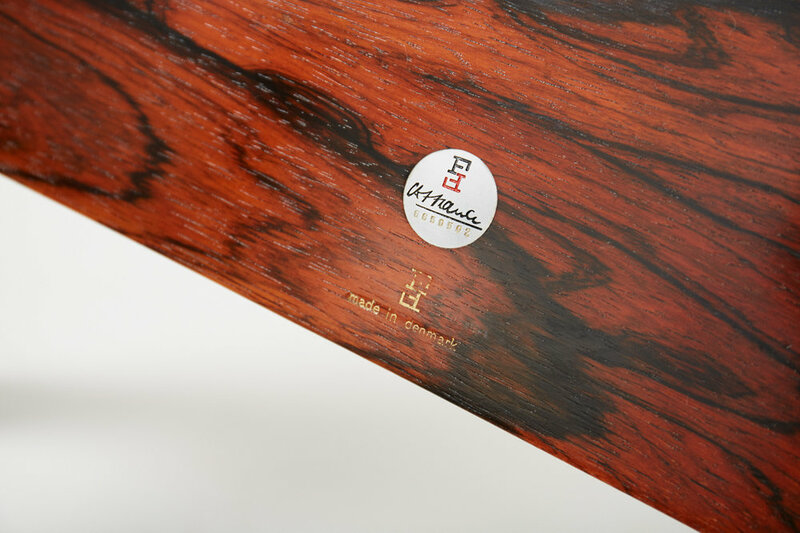 Limited edition version produced by France & Son, Denmark in Brazilian rosewood. Includes maker's badge. New cushions covered in Kvadrat Hallingdal #103 wool fabric.